You can certainly see where my mind went from here, can’t you? Not that my mind usually goes straight to alcohol, unless of course, it’s a school day…or the weekend. Then my mind certainly is thinking of a little drinky drinky to ease Mama’s nerves by the end of the day. I put this in a shot glass for the photo shoot and immediately started wondering what I could make with this ruby red beauty. 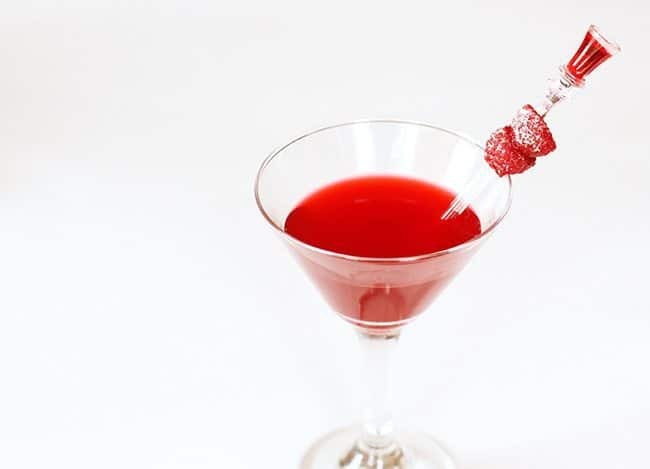 Raspberry and vodka go together like Sonny and Cher and just like that famous duo, it’s crystal clear who the real star is. 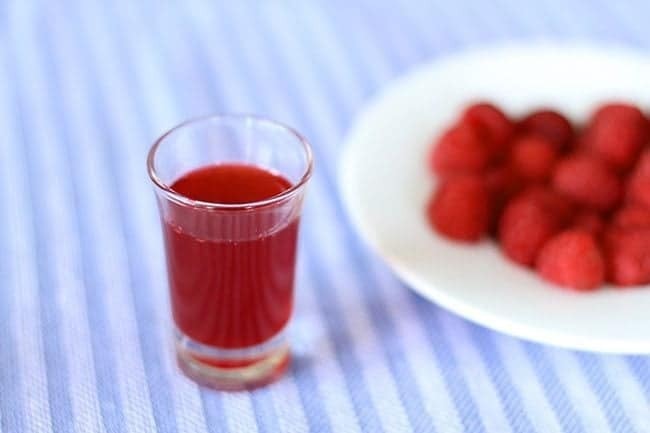 The raspberry cordial quality is far beyond any raspberry juice you can purchase in a store, the richer, luxe taste makes this drink one that is a completely never-to-be-duplicated ,with all creative rights going to the person serving it. You ain’t gonna find this Sonny and Cher in your neighborhood pub, unless they are hipsters who are making their own cordial. However in Edmonton, this might just happen. I guarantee that home-made cordial drinks are now in the works. The recipe for this stunning martini is quite simple, one part vodka to two parts cordial, with a dash of bitters if you are inclined to make this a true martini. The secret to this drink is that you already made a stunning base. When you made your raspberry cordial, you infused it with lemon juice, sugar and honey, the reason why your drink is going to be one of a kind spectacular. 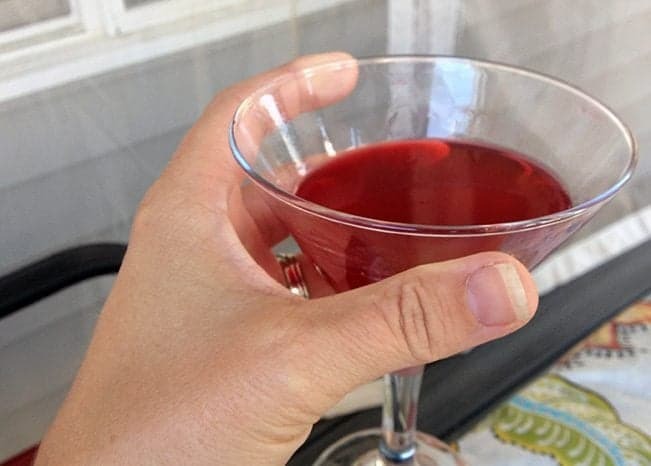 Your raspberry cordial already has the lemon that is usually put into drinks to add another taste dimension and the honey, well my loves, the honey just made this the cream of the martini crop. 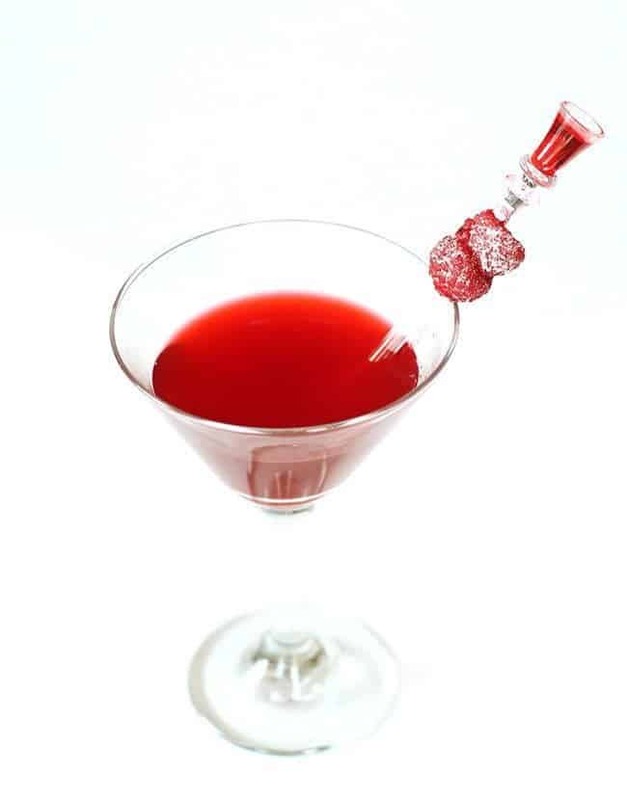 This is a very sweet, syrupy martini, so if you are like me, you will love this. I love drinks that hide the alcohol taste and border on a dessert. If you like, up the vodka to thin it out. Mike thinks it’s too sweet. That’s oh-so really sad in backwards land, because that means there is more for me! If you weren’t inclined to make raspberry cordial before, I beg of you; pick fresh raspberries now while they are in season and make a batch now. I have directions for water bath canning the cordial in jars so that you can tuck away this precious taste of summer until the dark depths of our dreary winters, when we need it the most. I am almost out of my first jar and I only made four jars in total. Yah, I got nothing. My only excuse is that this stuff is like candy with vodka. I’m resolving to save it for my usual house party in the fall months and share it with company, but is it going to make it? The odds are not in my guests favor that I’m going to have any left. 1) Stop drinking raspberry cordial martini’s. 2) Make another batch of raspberry cordial for my fall soiree. …I’m leaning towards number two. It sounds great – I’ll have to try it. anything with vodka in it is always a hit. Nicer than Honey & cinnamon Laydee Tipton!! Made the cordial using 2 bags of frozen raspberries, left to thaw for a while then proceeded as per the recipe. Turned out delicious AND my cough is significantly improved today. I therefore pronounce Raspberry Cordial Vodka Martinis medicinal! I prescribe myself 1-2 per day for health purposes. 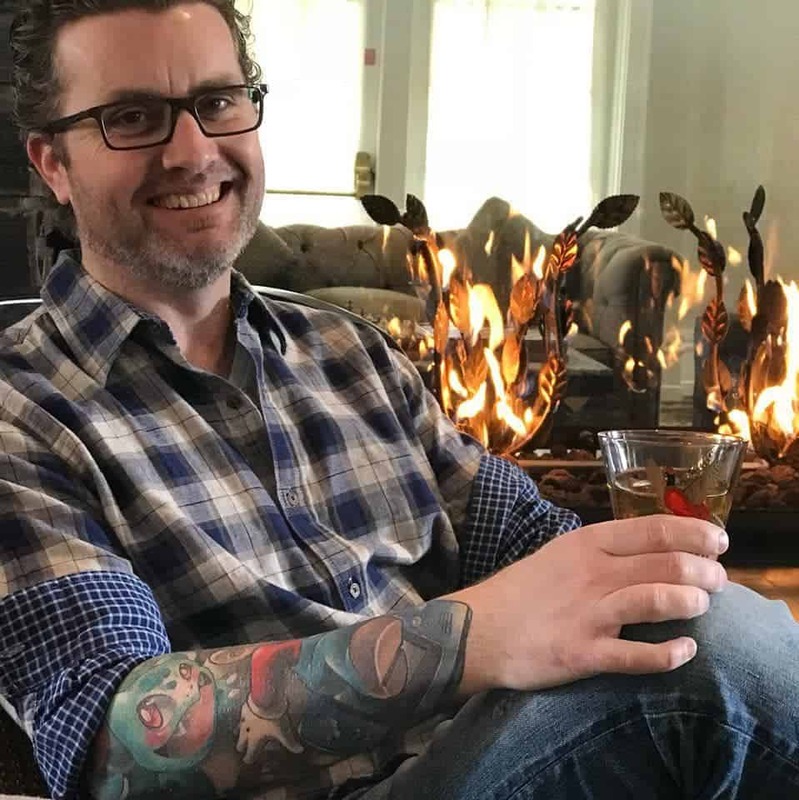 I'm the resident cocktail maker here at The Kitchen Magpie. I have a vintage bar-ware addiction (it's under control, really). I'm also a huge geek... I love Nintendo and this is my man cave. Welcome!